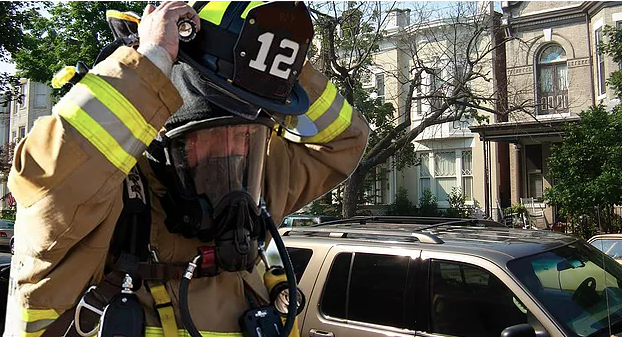 RICHMOND, Va. — According to officials, emergency personnel were called to a second-story apartment at the intersection of Meadow Street and Park Avenue early Monday morning. Bakery assistant Kendra Harmon, 22, was getting ready for her morning shift when she began developing a problem. While in the shower, Harmon experienced extreme discomfort as she tried to find the perfect water temperature in which to bathe herself. Harmon stated that it had happened to her a few times previously while living in the nearly 100-year-old building, but she had always managed to maintain control of the water temperature. However, this time, no matter how minuscule her adjustments to the knob, it was either freezing cold or scalding hot. After five frenzied minutes of futilely modifying the knob by mere millimeters, Harmon decided to dial 9-1-1. When the emergency personnel arrived, they found Harmon shivering and crouched in her shower, drenched in frigid water. They quickly extracted her from the scene and got to work on the problem. Officials say that the water was soon adjusted to the right temperature, and Harmon was left to finish her morning routine. Harmon expressed her gratitude to those who came to her aid during what she claims was one of the scariest moments of her life.